National Education Day of India is celebrated every year on 11 November to commemorate the birth anniversary of Maulana Abul Kalam Azad, the first Education Minister of independent India. This year, it was the 130th birth anniversary of Maulana Abul Kalam Azad. As first education minister of India, Azad had oversaw establishment of national education system with free primary education and modern institutions of higher education. He is also credited with the establishment of Indian Institutes of Technology (IITs) and laid foundation of University Grants Commission, an important institution to supervise and advance higher education throughout the country. 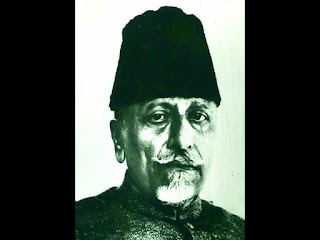 National Education Day was instituted by Union Ministry of Human Resource Development in 2008 announced to commemorate the birthday of Maulana Abul Kalam Azad for recalling his contribution to cause of education in India. Its objective is to strengthen educational institutions and to raise quality of education to greater heights. It also seeks to remember Maulana Azad's contribution in laying the foundations of education system in an independent India as well as to evaluate our current performance in this field. He was born on 11 November 1888 and died on 22 February 1958. He was a senior Muslim leader of Indian National Congress during Indian independence movement. He is commonly remembered as Maulana Azad (word Maulana is honorific meaning 'Our Master') and he had adopted Azad (Free) as his pen name. He had played an important role in foundation of Jamia Millia Islamia at Aligarh in Uttar Pradesh. He assisted in shifting campus of university from Aligarh to New Delhi in 1934. During his young age, he rose to prominence through his work as a journalist, publishing works critical of British Raj and espousing causes of Indian nationalism. He became the leader of Khilafat Movement, during which he came into close contact with Mahatma Gandhi. He later became an enthusiastic supporter of Gandhi's ideas of non-violent civil disobedience and worked to organise the non-co-operation movement in protest of the 1919 Rowlatt Acts. He was committed to Gandhi's ideals, including promoting Swadeshi (indigenous) products and cause of Swaraj (Self-rule) for India. In 1923, at the age of 35, he became youngest person to serve as President of Indian National Congress. He was one of main organizers of the Dharasana Satyagraha in 1931 and emerged as one of the most important national leaders of the time, prominently leading causes of Hindu-Muslim unity as well as espousing secularism and socialism. He served as Congress president from 1940 to 1945, during which Quit India rebellion was launched. He also worked for Hindu-Muslim unity through the Al-Hilal newspaper. Q. Who was the first Education Minister of independent India whose birth anniversary is celebrated every year on 11 November as the National Education Day of India?